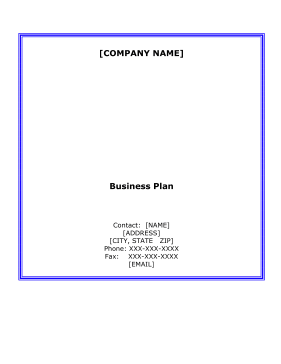 People who own entertainment facilities that provide paintball, arcade game and golf services can use this free, printable business plan to expand their clientele and improve their revenue. [COMPANY NAME] is a start-up entertainment venue to be located in city of [CITY], [STATE] designed for people of all ages to engage in indoor Paintball, Arcade Games and Virtual Golf, in a safe family-friendly environment. The Company plans on purchasing an 18,000 square foot building sitting on 2.75 acres in [CITY]. The facility will also incorporate a deli that will offer an affordable menu of healthy snack-bar food and beverages. In order to appropriately accommodate school-aged youths and their families schedules, hours of operation during winter months will be Monday through Thursday from 4pm to 9pm, Friday from 4pm to 12 am, Saturdays from 7am to 12am, and Sundays from 10am to 6pm. Hours of operation during summer months will be Monday through Thursday from 7am to 9pm, Friday from 7am to 12am, Saturdays from 7am to 12am, and Sundays from 10am to 6pm. Unlimited use packages will also be offered during summertime. The Company is a family owned and managed Limited Liability Company 100% owned by [NAME] who brings over 35 years of customer service experience. The manager is [NAME]'s son, [NAME], who brings over 21 years of purchasing and management experience. [COMPANY NAME] offers indoor paintball competition, Arcade Games and Virtual Golf for family entertainment and corporate events. Indoor paintball is available to all ages and at all experience levels. Customers with their own paintball guns will be charged $18 for all day use of the facility. Customers who need to rent paintball guns from [COMPANY NAME] will be charged $28 for all day use of the facility. The arcade area will offer customers 45 to 50 in demand gaming options. This area is serviced by a third-party company that is experienced in monitoring the activity of the games for optimal revenue and customer entertainment. Customers will be charged $20 per round of virtual golf, with 180 courses to choose from. [COMPANY NAME] plans to eventually offer golf lessons from a professional player. In the future, [COMPANY NAME] plans to purchase the building they are currently leasing and expand the facility. This expansion would also include creating a go-cart track that would increase the customer base and revenue for the Company. The Company would also like to expand to an outdoor arena including 8 batting cages. [COMPANY NAME] will be heavily involved in their community and will be supporting several community organizations. The Company will be offering the [CITY] Police Department an offsite office substation. This will give an opportunity for the youth and police officers to interact with each other and provide positive community development. [COMPANY NAME] will also support Operation Home Front for the military, a local church, the disabled, food banks, the unemployed and will provide other charitable donations to support the local disadvantaged community. [COMPANY NAME]'s target market comprises individuals and businesses throughout [COUNTY], [STATE] with initial emphasis in the cities of [CITY], [CITY], [CITY], [CITY], [CITY], [CITY], and [CITY]. [COMPANY NAME]'s primary targeted market consists of four main groups throughout [COUNTY], [STATE]. These categories are: Persons under 18 years old, Persons 19-64 years old, Persons 65 years old and over and business in private nonfarm employment. [COMPANY NAME] is expected to grow an average of 14% a year with the success of the $700,000 Grant expected in Year 1. The company plans to use the funds to cover a $100,000 Down Payment for Building Purchase (Value estimated at $900,000), $30,520 for Equipment and Furniture, $2,000 for Computers, $6,720 for Inventory, $15,000 for Training, $100,000 for a build-out, $60,000 for a Logo Wrapped Show Truck, $35,000 for advertisement for the Grand Opening, and the remaining for Working Capital and Other Start-up Expenses.